Trotec Laser, a leading provider of advanced laser equipment, is celebrating the 10 year anniversary of their flexx series, the first dual-source laser system. The innovative dual-source technology combines a fiber laser and a CO2 laser in one system, which enables businesses to produce more products in less time while reducing maintenance costs. Trotec was the first company to develop this technology, and it has been testing, refining and improving it for the past decade. Trotec's patented flexx system maximizes output and reduces overhead, providing a rapid return on the investment. The system combines a CO2 laser for cutting and engraving a wide variety of materials (including plastic, wood, rubber and glass) with a fiber laser for marking plastics and metals, eliminating the need to use and maintain separate systems to process jobs that require both laser types. Using a single system is more efficient because it eliminates the need to stop and start jobs, and with one system and one beam source, maintenance costs and processing times are cut in half. Trotec flexx systems are available in more than 30 configurations and different power levels (up to 120 watts for CO2 lasers and up to 50 watts for fiber lasers). Customers can add flexx to Speedy systems at any time. The systems come with user-friendly, patented Job Control workflow software that integrates easily with existing systems. "We have spent the past ten years testing and improving our dual-source laser systems," says Warren Knipple, president of Trotec Laser, Inc. "Our experience allows us understand and accommodate our customers' diverse needs and provide a highly refined product with superior performance." Trotec is a leading international provider of advanced laser equipment for a range of applications, from laser cutting and engraving to industrial marking. 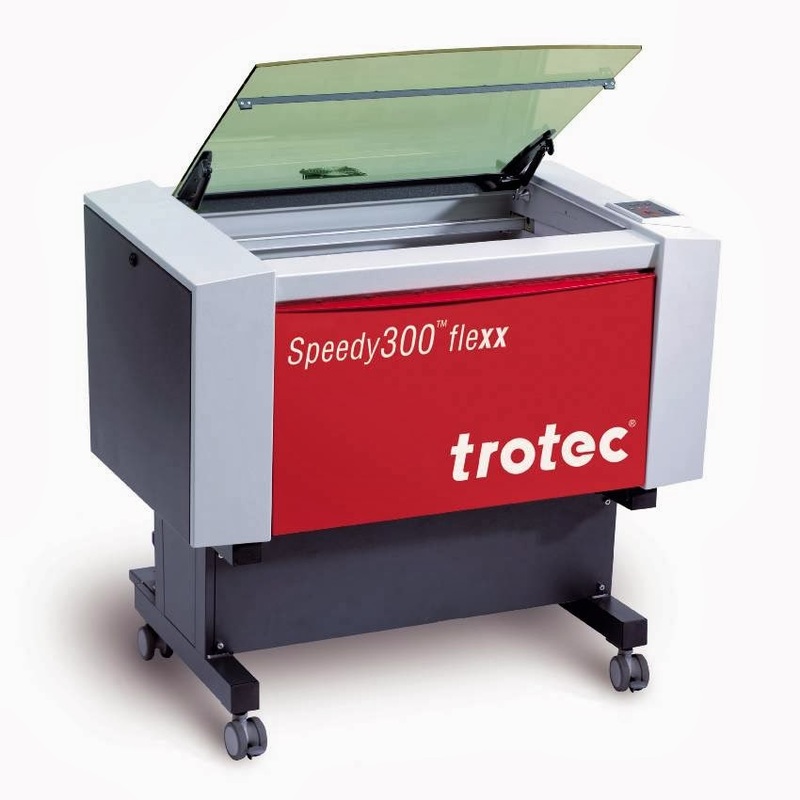 The company's extensive line of quality laser engravers, cutters and markers, coupled with its unmatched service and support offerings, have made Trotec one of the industry's leading resources for computer controlled engraving equipment and marking systems. Trotec machines are currently used in more than 90 companies around the globe. More flexibility. More options. More potential.